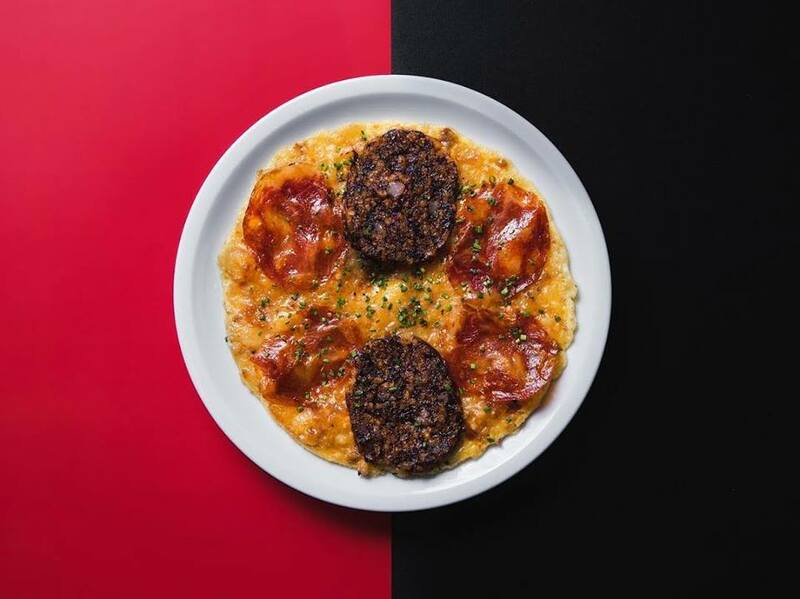 Sharing is Caring: Meaning “a little bit of this, a little bit of that” in Spanish, Pica Pica serves up classic tapas in a fun, casual location in Sheung Wan. Look & Feel: Located across from the Western Market in Sheung Wan, the restaurant is spacious and convivial. Bar counters along large picture windows are perfect vantage points for people-watching. The decor is warm, with plenty of dark metals, clay-colored cobblestones and amber pendant lights. A marble countertop lined with ingredients provides a great view into an open kitchen. On the Menu: Pica Pica offers authentic Spanish fare, so expect plenty of rich flavors. In true tapas style, everything is served in small plates that are perfect for sharing. Think pintxo gilda (a staple Spanish appetizer made from olives, fish, and peppers, $25), Spanish “lazy” omelette with morcilla and chorizo ($65), and a selection of paellas (ranging from $85 to $490). Chef Edgar gives certain dishes his own creative spin, such as the red prawn hot dog ($120), which comes with a deliciously savory sauce that’s squeezed from the accompanying Josper grilled prawn head. The Braised Carrilleras beef cheek and suckling pig ($165) appeared particularly popular during the night of our tasting; the pork was succulent, with its crispy seared edge giving some great texture. An array of Spanish wines accompany the food, as well as sangria, of course. 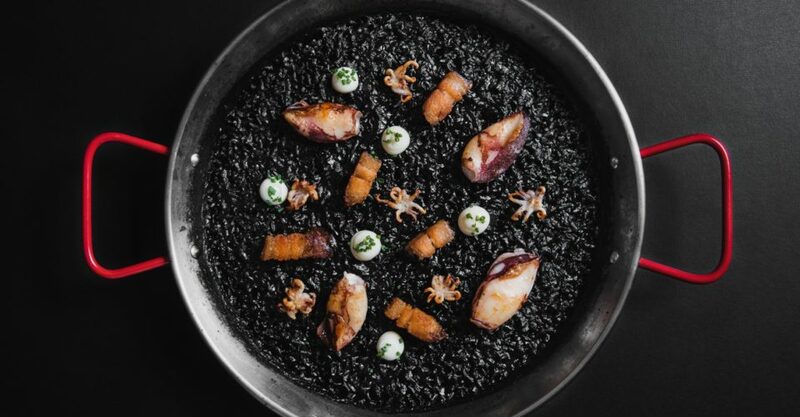 Meet the Chef: Having grown up in a family of chefs, Sanuy honed his skills throughout Europe and Asia, working in the kitchens of several Michelin-starred restaurants across Spain. He landed in Hong Kong in 2012 to open (since closed) Spanish restaurant BCN. Great For: Pica Pica is great both for a couple of quick bites with a glass of wine after work or a sumptuous dinner. FYI: Reservations are accepted—except at the bar counter in front of the dynamic open kitchen. You’ll just have to try your luck if you want to dine while watching the chefs do their thing.